Few days ago, i was invited to the West Africa Bloggers Conference somewhere in Ikeja, Lagos which i attended. Smile Communications Nigeria, Jumia and other brands and personalities were in attendance to share some vital information with us. 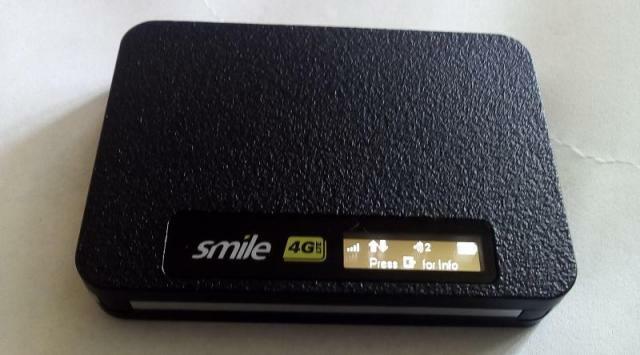 During the course of the event, a representative from Smile Communications Nigeria asked 3 random questions to which everyone who got the questions correctly, gets a smile SMiFi Router Device plus one sim and 5GB of data for free. For some days now, i have been using the Smile communication Nigeria SMiFi Router device and I must say, the speed is really awesome. Even when it’s showing ‘No service Available‘ when I am indoors, it still browses with speed. It’s weird but it works. One particular morning, i needed to use the SMiFi and i realized the device was stocked. When i mean stocked, i mean it didn’t pass through the name ‘Smile’ on the LCD display screen. I tried using the power button by holding it down for longer hours but that didn’t work. Another thing i did was to quickly send a mail to smile communications via their contact page on their website and they got back to me via a phone call. I was told what to do and that fixed it up. I’d like to share same information with you just in case you find yourself in same situation. #1. Look at the sides of your smile SMiFi device and locate where the sim card has been fixed. #2. 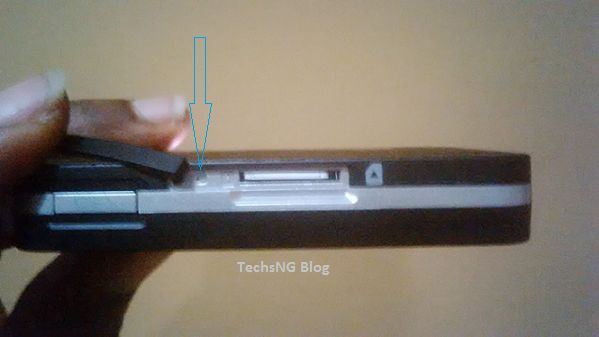 Look properly into the placement, very close to the sim card slot is a pinned area. Look the picture below for better understanding. #3. Find a pin and use it in pressing the Pinned area and the device will hard reset. It’s as easy as that. Now, to the area of whether or not I would advise you to buy the smile SMiFi device, in all honesty, YES. However, that is if you are comfortable with paying the data charges. Reason being that, it’s very much expensive than that of the telecommunication companies we are more familiar with. If interested in trying all spectranet, here is all you need to know about the unlimited plan. For nTel, here is the post to read. Mine is Franklin Model R702, given to me by my director. She has forgotten the password. I have done the hard resetting but it does not seem to remove the password and the ssid, because they are still there even after several attempts. And these are exactly why I want reset – remove the password and the ssid. Please, any other way to remove the password and ssid? Help. Hi Samuel Adeniyi i have been goten my 4G LTE Smile Pocket Wifi from my Mummy so i want to change her userID to my own so that i can recharge any time i want pls help. Hello, anybody knows if it’s possible to add external antenna on this hot spot ? If yes what type of connection to be used ? Quite frankly, being able to add external antenna to the smile MIFI is not possible. At least, no proven method that i know of. This just worked for me right now. Thank you very much posting this. Pls how can i remove the pssword of my smile.. its my cousins own he traveled out of the country nd i dnt kno his password . Tried it, it didn’t work. Do I have to press it once? A couple of times or hold it down till it comes back on? I’ve tried all three and none seems to be working. Did you follow the instructions squarely?? If you read through the comments, you’d realize it’s working. I actually haven’t used any of their new routers hence, I cannot exactly advise what next. How about you contact the customer care support? You can reach them via email and they’d get back to you with a precise solution for your router. thanks for tips……saved me from heartbreak!!! Does resetting apply to deactivated smifi? Thanks for the tip. You just saved a life. Hi Promise, what exactly led to the problem? Hi Uche, that will involve you unlocking the mifi. And up till this moment, I have not been able to discover any working method in achieving that. You can be sure I will put up a tutorial as soon as I get it done and working on mine. Thanks a lot. I use smile mifi for my mobile devices for I can buy 20gb that will be valid for 12 months. This is quite economical for me because I also have Swift plan from 6pm to 8am every day and use my office wifi during work hour. I am on official trip to PH and realized my smile device had frozen. I had no idea what to do but wait till I am back to lagos to take it to their office. After couple of hours I decided to search solution online and you were just there at the right time to provide a fantastic solution. Hello Iyke, i am glad i was able to help. Please,,,,I have hard reset my WiFi,, but the password was still on it,,, please how am I gonna remove the password from it??? Wow..interesting. Thank you so much for this post. My Smifi router refused to turn on for three days and after reading your post, I tried your method and it worked!!!!!! my Mifi go stuck, hs been showing searching for a while now meanwhile I was browsing real good b4 and its been like this for a while so am nt sure if its network issue or something else is wrong cos it happened when I changed my mifi password. Somebody pls help. I have tried hard reset severally but its not working. my Mifi go stuck, hs been showing searching for a while now meanwhile I was browsing real good b4 and its been like this for a while so am nt sure if its network issue or something else is wrong cos it happened when I changed my mifi password. Thanks. This was really helpful. been struggling all day. Mine got stuck at the “Goodbye” sign for about 7 Hours. After following your instructions, it started working again. Lucius, glad it worked for you. Cheers! please i have a quick question, can i use a different sim card on the smile wifi router?